If pruning, only remove dead material from trees and shrubs, anything more will encourage new growth. This takes energy that a drought-stressed plant cannot afford. Instead, spray leaves with an anti-transpirant or anti-dessicant to help leaves retain what moisture they have. Morning temperatures are cooler and the sun is not as intense as later in the day so there is less moisture loss due to evaporation. Also, water sitting on foliage will have a chance to dry during the day minimizing the chance of fungal infection, especially during humid weather. If you are adding to your landscaping during a drought, choose water-wise, drought-resistant plants or consider xeriscaping techniques that minimize water use. Native plants, succulents and cacti are all great choices and require minimal water. In very severe drought conditions, it may be best to not replace plants, at least until watering conditions improve. Plants take up water through their roots. Water landing on the foliage will be lost due to evaporation. The more water you direct to the soil, the less you will waste – drip systems and soaker hoses are ideal options. The key is infrequent but heavy watering rather than lighter, more frequent watering. 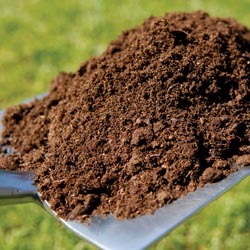 This encourages deep root growth, which increases drought tolerance. 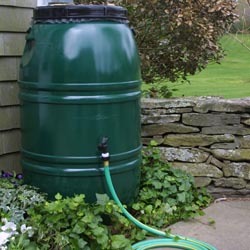 Place a rain barrel under downspouts to collect rainwater. Wash the car on the lawn rather than on the driveway. Reuse “gray water” such as bathtub or dishwater and rinse cycle water from your laundry to water your garden. Collect the drip water from an air conditioner (may produce up to 5 gallons in 24 hours) for watering. Replace leaky hoses and sprinklers and use washers to correct leaks at fittings. Shorten showers, turn off the faucet when brushing your teeth and take other steps in the home to reduce water use so more is available for landscaping needs. No matter how severe a drought or how low water supplies may be, there are ways you can deal with it and still keep your landscaping well cared for.